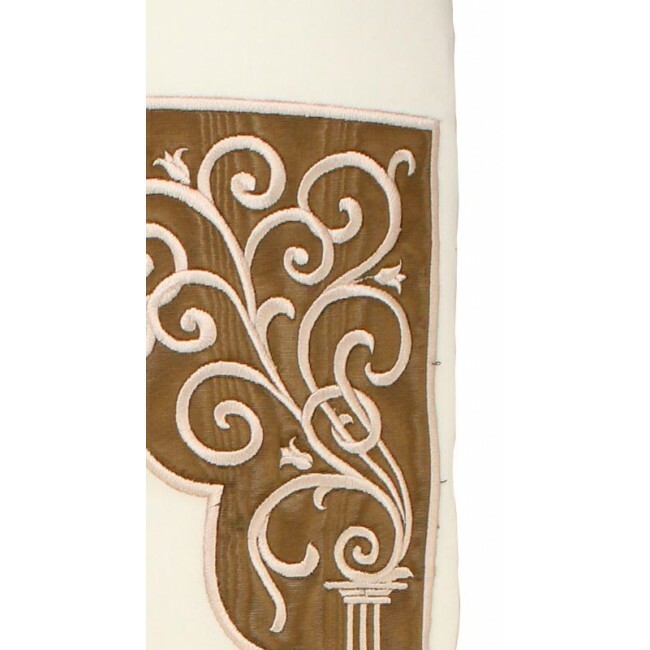 This Torah Mantle features a magnificent design of pillars branching out and encasing a blank center for in which your inscription can be placed. The white fabric adds a touch of regal royalty so that this Mantle can be included in our High Holiday selection. This cover is machine embroidered. 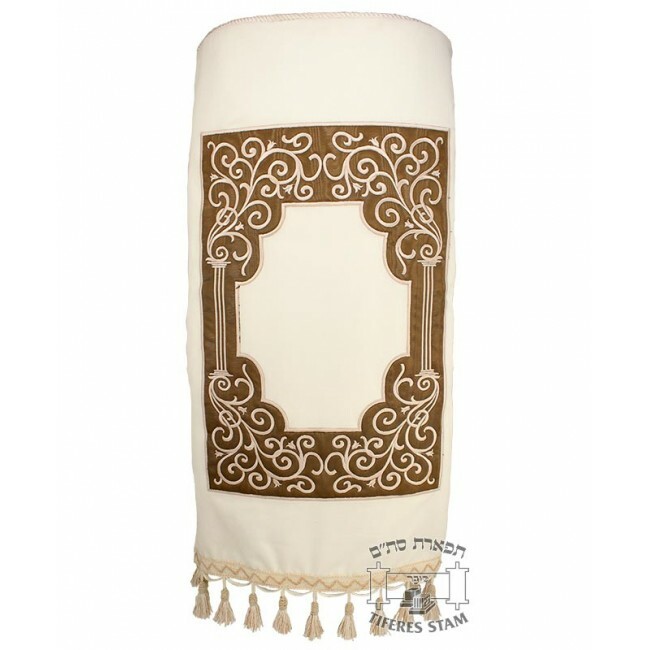 Sefer Torah Mantles are fashioned with open or closed backs, with or without fringes. All our Torah mantels are finished with reinforcement rings to guarantee many years of long lasting use. 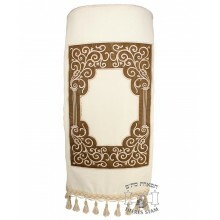 All our Torah Mantles are custom made to fit your needs.